Amazon Prime is a subscription service which the online retailer Amazon offers for its more frequent customers. There are over 100 million members around the world. In the UK, annual membership costs £79, or you can pay £7.99 a month. Students with a valid university e-mail address can get a six-month free trial with Prime Student, and then pay half price for an annual membership at £39. For these fees, you get access to one-day delivery for millions of products. You can even get same-day delivery or delivery within 2 hours with Prime Now. This is the primary perk of Amazon Prime, but it also gives you access to AmazonFresh, Prime Pantry, and Lightning Deals. Not to mention streaming TV shows and movies with Amazon Video, as well as books and music. Bonuses like these are good, but what if your Amazon Prime delivery is late? This is how to make sure you get Prime benefits. The fastest way to resolve problems with delivery delays is to call Amazon on 0844 826 8084. If you hold through the pre-recorded messages, an adviser from Amazon will take your call. They will need to verify your identity before you can discuss your account. This will usually require providing your name and e-mail address so they can locate your Amazon Prime account. Explain that your order is late and provide the order number. Bear in mind that Prime “One Day” delivery means that they will deliver the item the following business day after it arrives in their Fulfilment Centre. Deliveries can also run as late as 9 – 10pm if they arrive on the next business day after you place the order. This means that you should wait until at least 10pm on the expected delivery date before contacting Amazon about the order. The customer services team is available 24/7, so you don’t need to worry about calling before the phone line closes. When you get through to an adviser on 0844 826 8084, they can look into the tracking information for your order. If it has failed to ship or is lost on the way, they may give you a few options. They could cancel the order and give you a refund, or send out a replacement. On top of this, you should emphasise the inconvenience that the delay is causing for you. What Amazon customers may not know is that they can offer extra compensation as well. 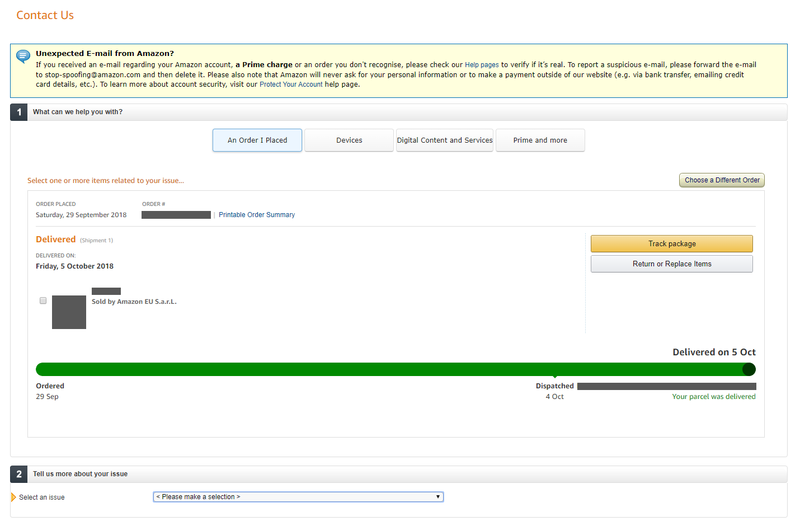 Typically, if Amazon has broken their One Day delivery promise, then they should offer you one free month of Prime. They will add this month onto the end of your current membership term. So if you pay monthly, then they won’t bill you for the next month. Or if you already paid for an annual membership, they will move your renewal date back one month. Reports from Amazon Prime customers suggest that you can get up to twelve free monthly extensions per annual membership. This is only available in genuine late delivery cases. 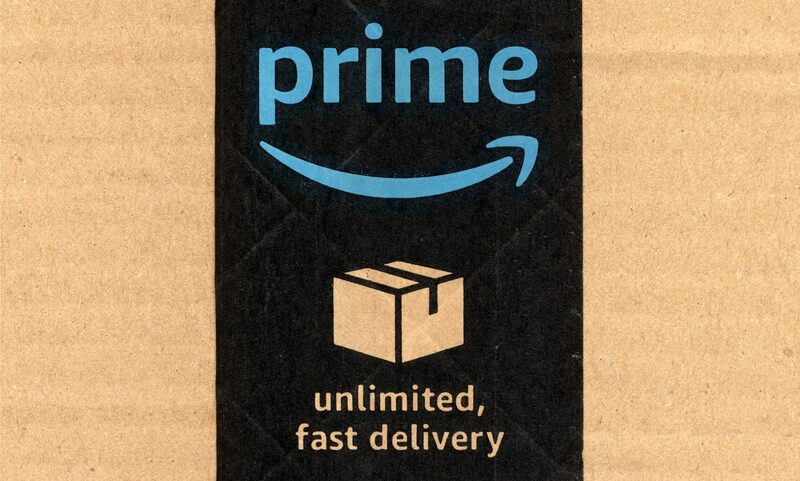 If you are not an Amazon Prime customer, you will receive a full refund of the delivery fee you paid for the order, whereas One Day delivery is free with Prime. While one free month of Prime seems to be more of an official policy, other forms of compensation are possible. Amazon advisers evaluate late delivery complaints on a case-by-case basis. Depending on your personal customer experience, they might decide to offer you credits. These will go onto your Amazon account and you can choose to apply them when you make a future purchase. This could be for a general Amazon store order or on content from a service like Amazon Video. If Amazon makes you wait for any extra time while they investigate with the courier, you can escalate your complaint and increase your demand for redress. Sometimes Amazon may not offer customers any compensation if the cause of the delivery delay is beyond their control, such as unexpected extreme weather. If you are unable to make a phone call, you can easily contact Amazon customer services online. Click to visit the “Contact Us” page. You will need to sign in to your Amazon account if you aren’t already logged in. You can then select the order you want to contact Amazon about. It will automatically select your most recent order, but you can press the “Choose a Different Order” button and view a list of your other recent orders if this is not the correct one. It will show you whether your order has been delivered or not and should allow you to track the package delivery. For part 2 of the online form, make a selection from the drop-down menu. You should select “Where’s my stuff?” if you haven’t received it. If the status says that it was delivered but you don’t have it, select this option as well. 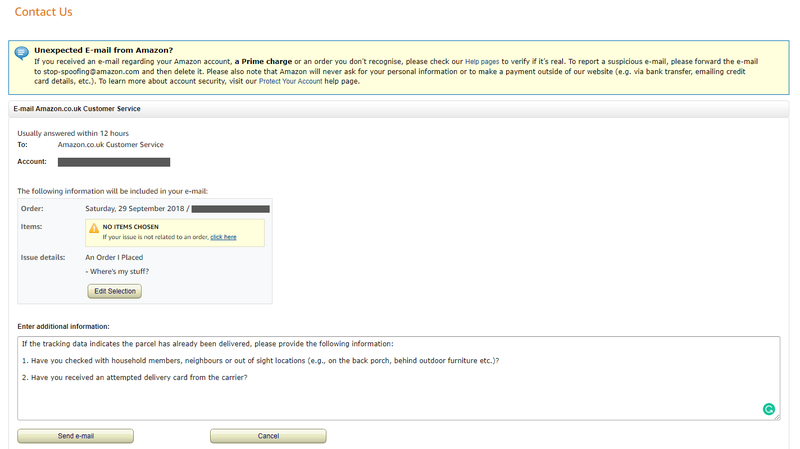 Step 3 will then give you the contact options for Amazon customer services. Press the “E-mail” button to create an e-mail. You should include the relevant information about your delivery in the message box. Mention the way that this delay is inconveniencing you and that Amazon has let you down. Amazon customer services should respond to your e-mail within 12 hours. If this is too long, or you would prefer to have a live conversation, go back to step 3. Press the “Live Chat” button instead of “E-mail” or “Phone.” This launches the live chat pop-up in another window. You can then discuss your delivery issue with an Amazon adviser in real time, and negotiate compensation for the delay. Be sure to tick the box to receive a transcript by e-mail, so you have a record of what Amazon agrees to do.